Jerk food is popular in Jamaica and the Caribbean, but it's now becoming more popular all over the world. Jamaican jerk might sound like a dance move, but it's the spicy-sweet goodness of spices served through the process of spicing and grilling meats, poultry, and even vegetables, the most popular being jerk pork and jerk chicken. The resulting food yields a spicy-sweet flavor and a tender texture. Jerk is also used as a noun when describing the dry or wet seasoning mix used to jerk a particular food. Jerk shacks thrive on the side of the road in Jamaica as a local fast-food industry. Be forewarned, if you cannot handle spicy-hot foods, jerk may not be for you. It has a real kick, that doesn't really come in levels. While some sauces come in levels, such as mild, medium or hot, jerk is one of those take it or leave it kickers. It's really spicy. Deletion of the chile pepper vastly changes the end product, and it's just not jerk without the heat! Take a look at the three most important ingredients of jerk seasoning before trying one of the authentic Jamaican jerk recipes below. There are three main ingredients in jerk spices: scotch bonnet, allspice, and thyme. 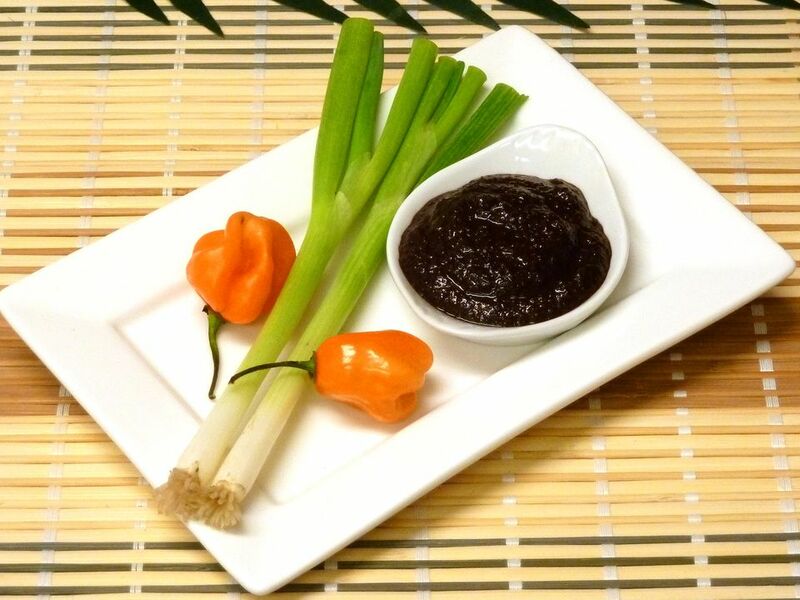 Whether it's meat, poultry or vegetables, jerk sauce can be added to give any dish its distinctive flavor. The traditional way to make jerk chicken involves a long process of marinating the meat from 12 to 24 hours in mostly fresh ingredients that may include soy sauce, brown sugar, whole and chopped Scotch bonnet peppers (seeds in means more heat), whole allspice berries, chopped ginger, scallions, and fresh thyme. Add oil if you'd like. In traditional Jamaican cooking, after the meat has been marinated, it is cooked atop branches of wood from the pimento tree above coals(pimento trees produce allspice berries). The meat is then topped with big pieces of metal. The wood is consistently turned to ensure the meat is evenly cooked. The process can take 2 hours. Obviously the process of cooking jerk meat and vegetables is different at home, however, pimento wood is available from specialty stores if you choose to grill or bake your meats with them. The best way to make the most of the jerk spicing is to not only marinate your meat but to reserve the dry rub for after the meat is cooked. This additional step of spicing will give you the best jerk flavor. You can also serve the jerk chicken with a Scotch bonnet pepper sauce.